The year was 1980 and the word “pasta” had been rarely uttered outside of Little Italy. Almost overnight, Americans’ understanding of pasta expanded from spaghetti and meatballs to a wondrous array of shapes, textures and flavors. 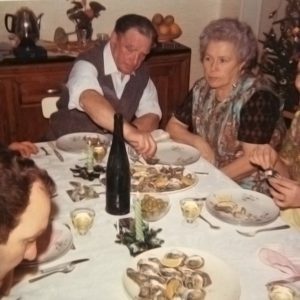 That same year, Monique Deschaine witnessed the Pasta Revolution first-hand in New York City when seemingly overnight, emerging retailers began cranking out fresh pasta to satisfy the hunger of Americans seeking “exotic” cuisines. Upon returning home to Michigan, Monique had the aha moment that would change the trajectory of her life. 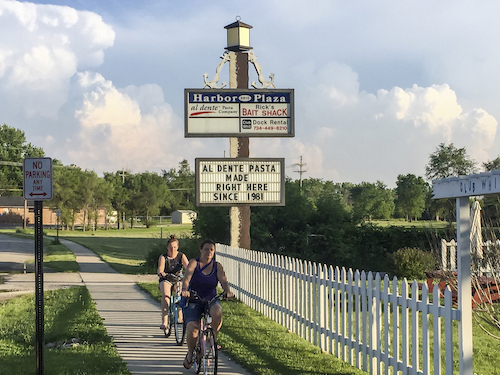 Why not bring the idea of fresh pasta to Ann Arbor? The twist would be to make pasta that tasted like fresh, cooked quickly like fresh, but had the convenience of a dried pasta. The 24 year old novice entrepreneur was now on a mission! As often happens, the idea seemed perfect but the obstacles were many. With a degree in psychology, Monique had never taken a business course, had no access to capital, was not Italian and didn’t know the first thing about making pasta! What she did have was a passion for food nurtured by summers in France with her grandparents. She had the drive to learn, a sense of optimism, and best of all, boundless determination! As a young girl in France, Monique relished in the ritual of the three-hour Sunday lunch with her grandparents. Marcella’s advice helped make Al Dente what it is today. She so generously shared her recipe, technique and wisdom! Monique soon introduced herself to Sandi Cooper, the owner of a local restaurant, cooking school and kitchen supply who offered her the chance to work in the store while introducing her to famous chefs who were touring the country giving cooking demonstrations. There, Monique gained invaluable insights into the business world. By 1981, Monique was raring to launch! With a $6,000 loan, she and Sandi left for NYC to buy her first pasta machine. More importantly, Monique meets Marcella Hazan, the doyenne of Italian Cuisine. In Marcella’s Park Avenue kitchen, Monique learns the art and the secret of making fresh pasta. 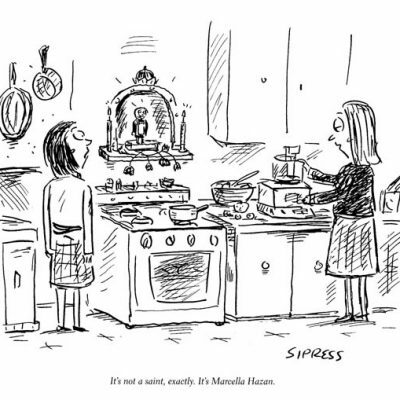 Marcella stresses the importance of rolling out the dough like an Italian nonna, in order to achieve that elusive “tender but firm” texture after just three minutes of cooking time. With more than 36 years of practice, Monique has never strayed from Marcella’s master class technique. 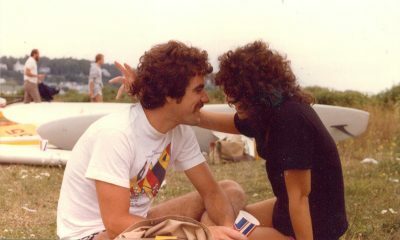 From the beginning, Monique’s soon-to-be husband, Dennis, played an integral part in the budding enterprise. After closing his Windsurfing shop for the evening, he would join Monique in Sandi’s commercial kitchen to roll out the pasta. Together they prayed it would dry by morning at which time they would package the noodles in clear bags with handwritten labels before making deliveries to a handful of local customers. From these humble origins, their little business grew, as did their romance bound by egg and flour. Combining their talents and passions, the Deschaines once owned the world’s only Pasta/Windsurfing conglomerate. 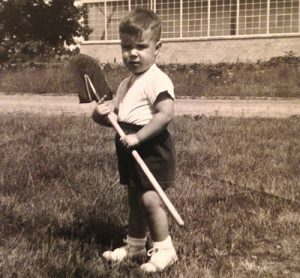 Dennis honed his building skills at a very young age. Dennis has always been the perfect complement to Monique’s creativity, spirit and generosity. He can design, repair and build anything! Over the past 36 years as National Sales Manager, Dennis has built a broker/distributor network that has placed Al Dente Pasta in thousands of stores and in the forefront of the specialty pasta industry. A visionary, Dennis is highly regarded as a leader in the world of specialty foods. Dennis devoted many years to the Specialty Food Association (SFA) including serving as the director of the SFA board. 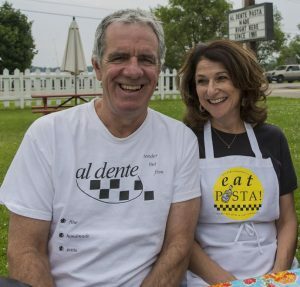 The Al Dente story is a story of “The Little Pasta Company That Could.” Strictly by word-of-mouth advertising, Al Dente has grown to be one of the most well-known and well-loved specialty pastas in the country. 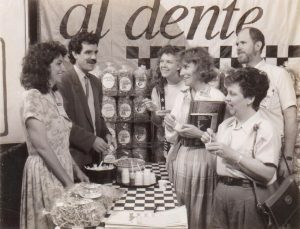 On store shelves all across North America, Al Dente has defied all odds for success in a very competitive market. With a focus on quality and innovation paired with passion and perseverance, this small-batch, artisanal pasta company has earned its position along side some of the biggest and best brands of pasta in the world! Al Dente is more than just pasta. It’s a way of life. It’s an interaction with the world. It’s the responsibility we take for every bag of pasta that leaves our factory. It’s a connection with others: we educate; we care; we respect. It’s a commitment to our employees, our customers, our community and our planet.